Sweet Basil (Thiruneetru Pachilai / திருநீற்று பச்சிலை in Tamil) is used as ingredient in recipes like bread dips (chutney). We can use it as an ingredient in Lemonade which we will be having frequently during summer. Click here to view 15 + Juice Recipes. 1. Extract the juice from the lemon without seeds and keep it aside. 2. Crush the cardamom pod and keep it aside. 3. Wash and cut the sweet basil leaves into small pieces. 4. 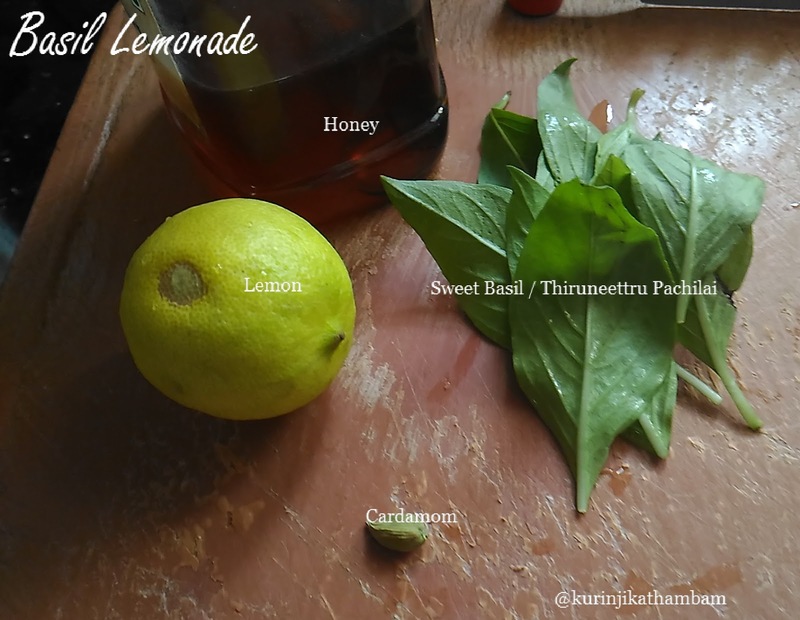 In a jar add lemon juice (from 1), cardamom (from 2), basil leaves (from 3), Ice cubes and honey. Shake them well for 1 min. 5. Then add enough water and mix them well. Serve it chill. Healthy and aromatic basil lemonade is ready to sip. 1. 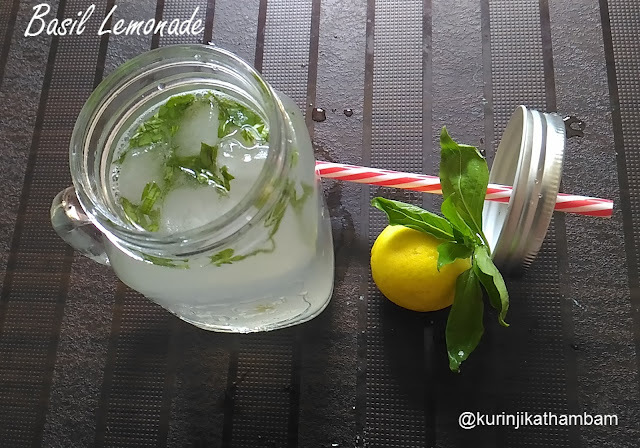 Adjust the water level according to your lemon juice taste.